Baltimore Magazine’s 2018 “Best of Baltimore” issue features some of the region’s standout people, places, and events of the past year, including highlights from UMBC. The magazine hails the UMBC men’s basketball team’s historic March Madness appearance as “Best Upset” of the year. It also honors Lisa Moren, professor visual arts, with the “Best Public Art” title for her innovative NONUMENT 01::McKeldin Fountain app. It’s been a year of firsts for the UMBC men’s basketball team—from the buzzer-beater shot heard ‘round the world to clinch the America East championship, to the unforgettable U Must Be Cinderella win against no. 1 seed University of Virginia, to an ESPY Award nomination for “Best Moment,” and things show no sign of slowing down now. NONUMENT 01::McKeldin Fountain app. Photo courtesy of Lisa Moren. In the category of “Best Public Art-Virtual,” Moren’s NONUMENT app extends beyond the confines of traditional art forms by bringing an iconic public artwork back to life through technology. Baltimore’s McKeldin Fountain was demolished in 2016. Working with Jaimes Mayhew, MFA ’10, IMDA, and Slovenian artists Martin Bricelj Baraga and Neja Tomšič, Moren was able to recreate the structure in the virtual world this past May. 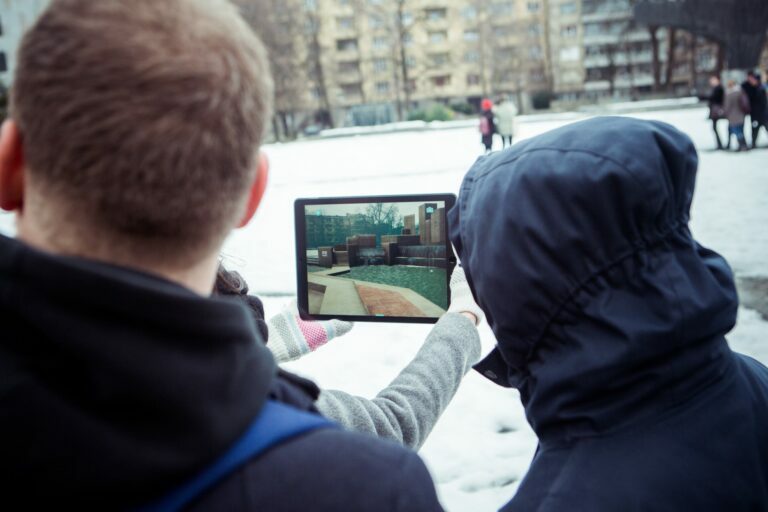 Downloadable on iOS and Android devices, guests are able to revisit the Brutalist fountain by using “memory artifacts” to experience the events and visitors that made it a hub for social discourse. The app includes animated waterfalls and interviews with Baltimore residents, including teachers, protestors, and rappers. In the Best of Baltimore Readers’ Poll, UMBC’s student-run radio station WMBC was a runner-up for “Best Radio Station” in the news and media category. 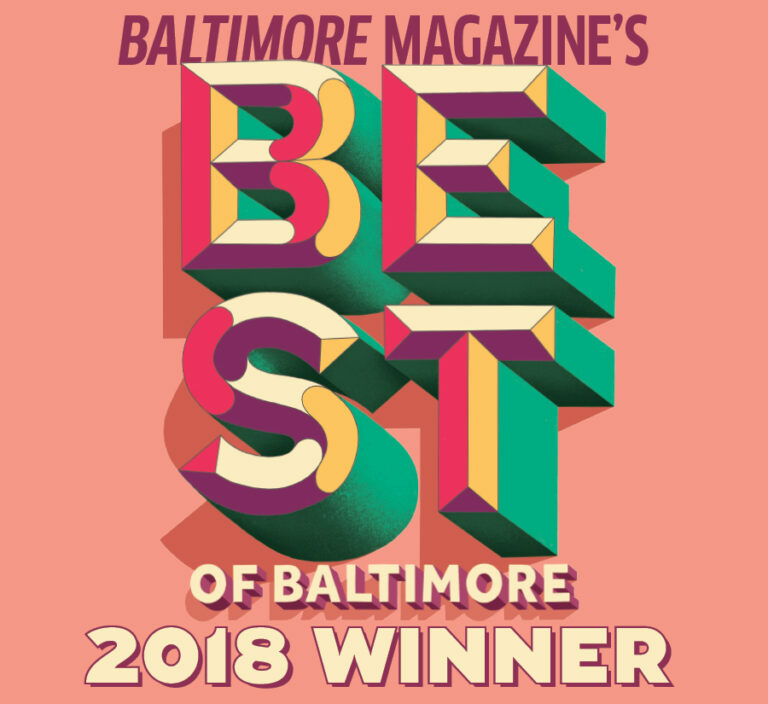 The Baltimore Sun also recently released its 2018 “Best of Baltimore” rankings, which recognized UMBC for offering the area’s “Best Summer Camp” (a readers’ choice award). This year marks the 40th anniversary of UMBC Summer Day Camp, which is operated through the athletics and recreation at UMBC. The camp is designed for kids in elementary and middle school, and includes a very active curriculum of sports, games, and art and craft activities. In addition to Summer Day Camp, UMBC’s youth basketball camp has continue to soar in popularity since its inception in 2016, with more than 150 campers attending this summer. The Retriever Aquatic Club also plays an important role in UMBC’s summer youth athletics programming. The Retriever Aquatic Club, now in its 32nd year, helps swimmers of all ages develop athletic skills, as well as teamwork, motivation, and resilience. Banner image: Retrievers showing off their school spirit, by Marylana Demond ’11 for UMBC. Video by Corey Jennings ’10 for UMBC.